Over the summer break, 13-year-olds have many opportunities, along with the time, to earn money. In most states, the legal age to begin working is 14, but a younger teen can still perform many part-time jobs, from taking care of younger kids to tending gardens. No set pay scale exists for most of these jobs, but a little research lets you figure out what the going rate is in your community. While there is no limit on how much a 13-year-old can earn, many states set a restriction on the number of hours a child this age can work continuously. 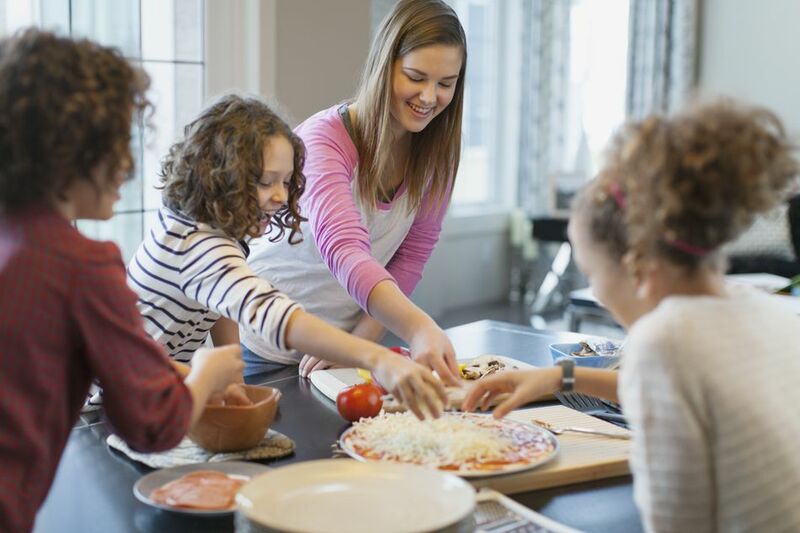 Babysitting is a year-round job that can be even more lucrative for 13-year-olds during the summer months: They have more availability, being out of school, and there's often more opportunity, as regular sitters go on vacation or take summer jobs. The Red Cross is one of several organizations that offers babysitter classes ​to prepare 11- to 15-year-olds, training them in cardiopulmonary resuscitation (CPR) and first aid. As long as your 13-year-old has some experience caring for younger children, there's no reason she can't build up a nice client base of families. During the summer months, a 13-year-old who knows how to handle a lawnmower can make a steady income taking care of yards around the neighborhood. Doing extra yard work like raking clippings and pulling weeds could add value to your 13-year-old's lawn-care services. Other tasks could include raking leaves, spreading mulch, or planting flowers. Be sure to determine if your child will use your mower or the homeowner's mower. Dogs need to get out for exercise all year long, but in the summertime, children have extra time to walk them. By age 13, most kids may be able to handle more than one dog at a time. If she hasn't a pet of her own, make sure that your child feels comfortable with canines before she takes them for a walk the first time. Looking after a neighbor's house while the family's out of town is an ideal job for a conscientious kid. Responsibilities typically include feeding the family dog or cat a few times a day, watering plants, and bringing in newspapers, mail, or other deliveries. Over the summer, parents often engage tutors for offspring who need some remedial help or who want to get ahead for the upcoming school year. For kids who excel in a particular subject, tutoring can be a way to earn some good money while helping other students. Washing cars is a good warm-weather activity that a 13-year-old can do pretty easily, as long as she can use a sponge and a hose, and isn't afraid of getting wet. It's a good idea to give her a trial run on your own car, to build up her confidence and teach her how to be thorough. Many summer camps that cater to the under-12 set are glad to offer programs for "junior counselors" (sometimes called counselors in training or CITs). Junior counselors may or may not actually get paid for their work, but either way, they gain valuable experience and references and pave the way for future employment.